The area of land where Yalding is situated was originally a heavily-forested marsh. In the 9th century, Saxons began cutting down the trees in the area. They found that the land was very fertile and with its excellent water supply from the River Beult, it was a good place to site a village. The Saxons called the village Ealding which meant the "land belonging to Ealda". Over a period of time the spelling of Ealding was changed to Yalding. This part of Kent was taken over by the Normans in 1067. William the Conqueror gave Yalding and several other villages in Kent to Richard de Clare, one of his most important military commanders. In 1314 Gilbert de Clare, (the tenth Earl of Clare) was killed at the Battle of Bannockburn. Gilbert did not have any children and so his death brought an end to the male line of the Clare family. The family estates were now divided between Gilbert's three sisters, Eleanor, Margaret and Elizabeth. Margaret, received Yalding and most of the other Clare estates in Kent. Her husband, Hugh de Audley, became Yalding's new Lord of the Manor. Richard of Clare holds Ealding. Aethelred held it from King Edward. Richard holds two sulungs. Sixteen villagers, twelve smallholders and fifteen slaves. Six ploughs and 150 pigs. Two churches and two mills. Meadow, five acres. 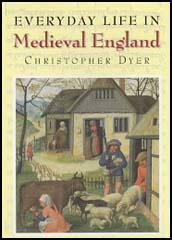 Value before 1066, £50; now £20, because the land has been spoiled by livestock. 1. Copy the table below into your book. Study the extract from the Domesday Book and fill in the column for 1086. Read Yalding Population in 1336 and fill in the column for 1336. 2. Read Yalding Population in 1336, Animals in Yalding and Equipment in Yalding and then fill in Section 1 of your Family Information Chart. 3. 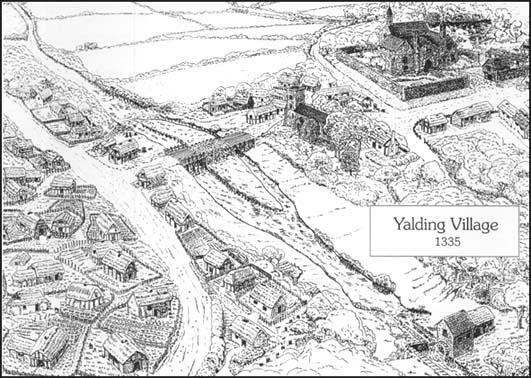 Study Map of Yalding in 1336 and Artist Impression of Yalding. 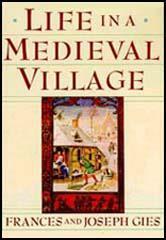 (a) Explain why it was a good idea to build a village by a river. (b) Explain the disadvantages of living by a river.